We see him in sniper training. We also witness a witty display of barroom banter with Taya (Sienna Miller), who dismisses SEALs as ego-fueled macho men but goes for Chris in a big way. He’s funny, he’s handsome, he’s sincere in his patriotism, he’s got that charming Texas drawl. Plus, on their first date he holds back her hair while she’s throwing up. Several years in Chris’ life are thus established in just a few minutes and with virtually no exposition. This is storytelling at its best, with the images doing the talking and the dialogue providing color and personality. Then we’re back on that rooftop peering through Chris’ gun sights at the little boy with the bomb. “American Sniper” is remarkable for a couple of reasons. First because it is virtually a one-man show. No other character, not even Miller as the Missus (and she’s terrific), establishes such an anchoring presence as does Cooper. He’s in virtually every scene, the one constant throughout the film. Cooper makes it look easy. In this Oscar-worthy performance he completely inhabits Chris Kyle, nailing the personality and attitude of a career warrior but softening that formidable surface with sly humor and genuine friendliness. But “American Sniper” is also a stealth anti-war picture. The memoir was matter-of-fact, not big on introspection. The film, though, sneakily undermines the warrior mentality in the same way that Eastwood’s “Unforgiven” forced us to reconsider the casual violence of his early Westerns. There’s some terrific action in the film and no little suspense. Chris faces the danger with a shrug. But between his tours, when he’s Stateside dealing with a growing family, the real cost of combat becomes apparent. Though he will not admit it, it becomes all too clear to Taya that her husband feels at home only in a war zone, that the brotherhood of warriors means far more to him than the comforts of domesticity. To a civilian it’s obvious that taking more than 100 human lives would scar one’s conscience and emotional health. For a warrior like Chris, admitting such a thing would render him incapable of doing his job. Small wonder that he develops a case of post-traumatic stress disorder. 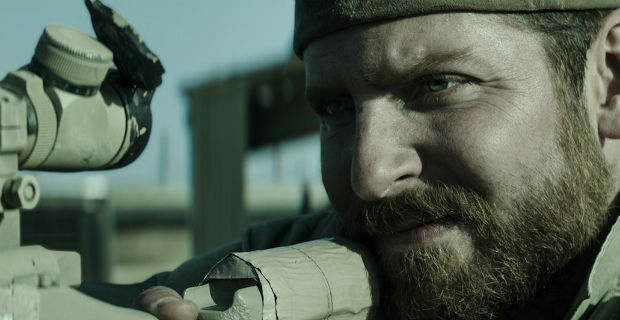 “American Sniper” does the near impossible, celebrating the warrior spirit while refusing to look away from the chaos it generates. It will leave you with your pulse racing, and your heart aching.